As participants in the MAK LA exhibition entitled Light My Way Stranger at the Fitzpatrick-Leland House, we developed a collection of lamps that explores the structural capacities of semi-translucent, thin shell tectonics that create gradient of light. Through the repetition of a geometric module, a shell system of involution generates an exceedingly strong yet light shell. 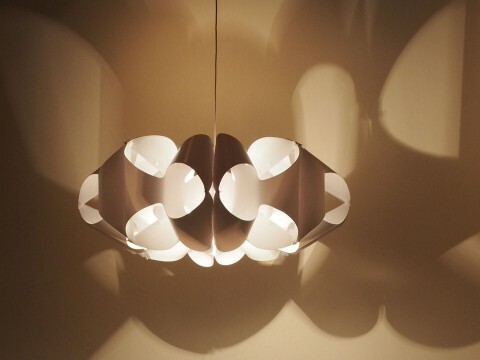 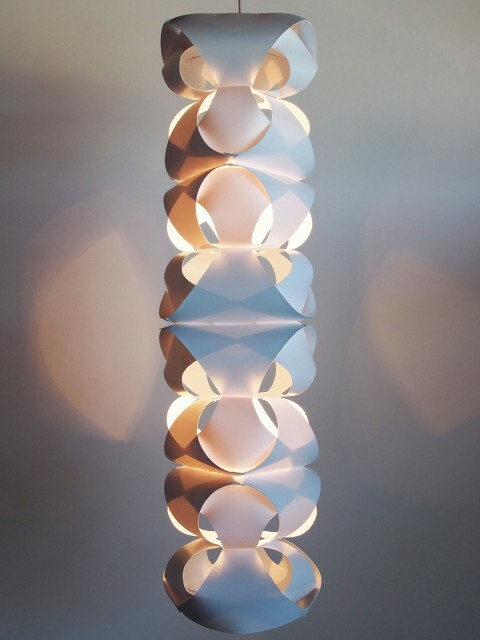 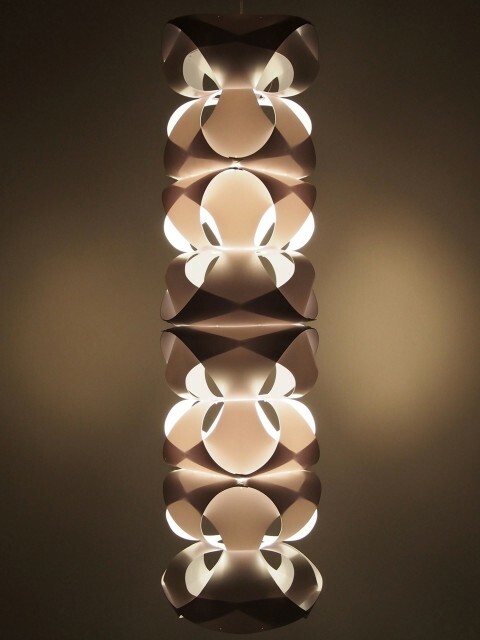 The geometry also produces a play of solid and void, creating optical illusions and patterns of light and shade on environments surrounding the lamps. 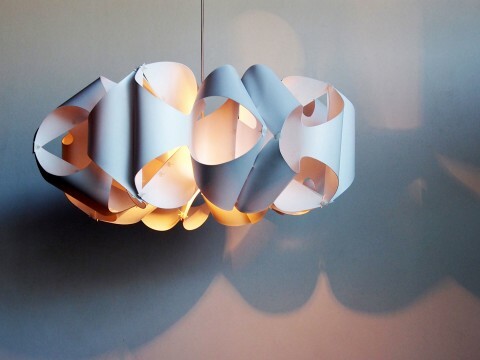 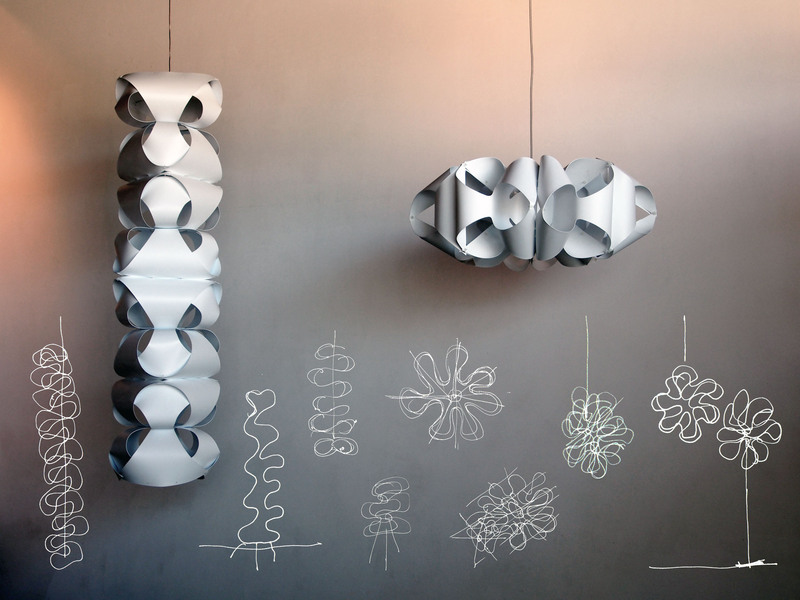 Lepido and Ranuncu are two prototypes shown here: a chandelier and a vertical hanging lamp. 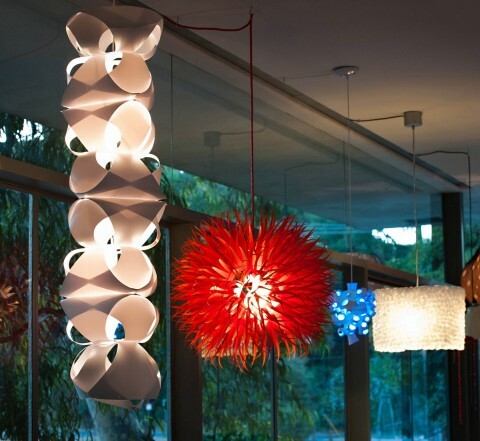 Incandescent lamps wash warm light over and through the cool white styrene, creating light gradients from blue to orange.